Do you carry a wallet on a daily basis? Don’t get me wrong, I love purses but on a daily basis, I prefer having something small that I can put in my jean pocket with my cellphone. I even tried having one of those cases that are a combination wallet (which unfortunately was a disaster). In the end, I always went back to a ‘small’ men’s wallet that wouldn’t fit in any of my women’s jeans and was, quite honestly, so big and bulky it was uncomfortable. At least it wasn’t my husband’s wallet, which was so huge I honestly don’t know how he sat on it at all when he wasn’t wearing cargo pants/shorts. To say the least, we both needed something different and no matter where I looked, no one had something that looked small, well-made, and practical. To be quite honest, I was surprised when one of my favorite companies – KORE Essentials (check out their belts, they rock) – wrote to me and asked if we would be willing to review one of their new KORE Essentials Slim Wallet + Carbon Fiber Money Clip. Not only did I say yes after watching the video, I immediately ordered the other wallet they sold for my husband, hopeful that it would make life easier for him as well. When they both arrived, I couldn’t wait to start testing! 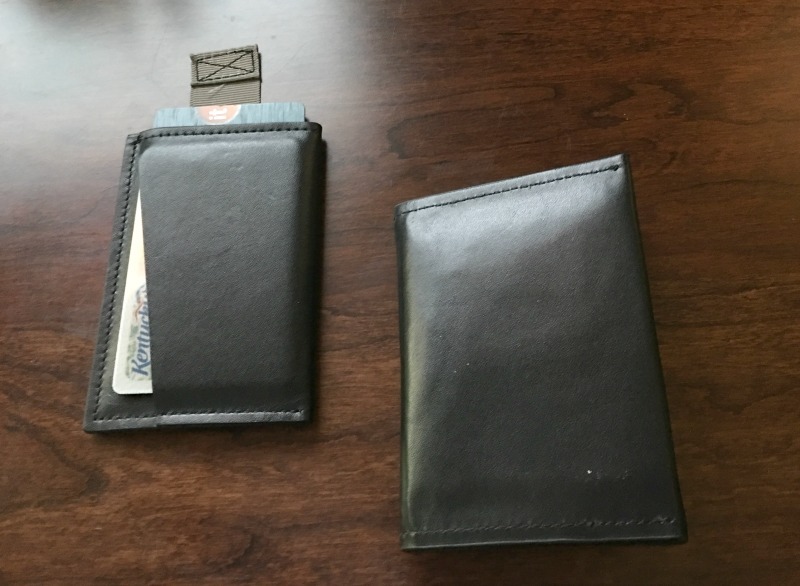 KORE Essentials Slim Wallets: What are They? Struggling to find the perfect wallet that is not only practical, but slim? If so, we think you will love the KORE Essentials selection of Slim Wallets. 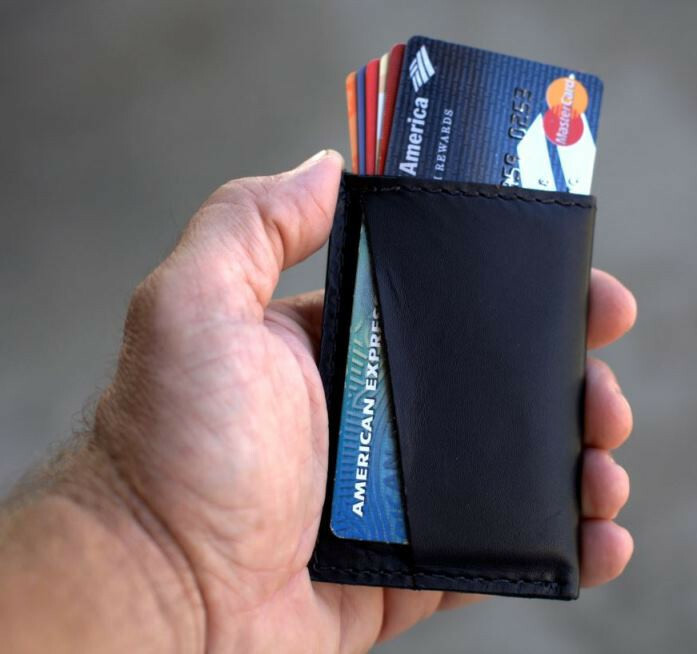 These minimalist wallets are made using full-grain leather and lined with RFID (radio frequency identification) blocking material to protect you from unwanted credit card scanning and theft. Best of all, they are extremely sleek and small, turning even the bulkiest of wallets into a thin, easy to use wallet that is not just beautiful, but more organized. To see more, make sure to check out the KORE Essentials Bi-Fold Slim Wallet and KORE Essentials Slim Wallet + Carbon Fiber Money Clip (video featured below) here! Before I go any further, I have to admit, I fell in love with these wallets on first sight. I had never had a wallet that felt this weightless with so many cards, even with the money clip. In all honesty, I still haven’t seen how many cards mine will hold since with all my cards, it still feel light and roomy. What makes the KORE Essentials Slim Wallet + Carbon Fiber Money Clip so different, however, is its smart pull tab, which conceals your cards until you need them, then makes them quickly accessible without having to dig or possibly lose cards. I have honestly had people stop me in stores asking me where I got my wallet since they couldn’t believe how much it held while still being small and stylish. As well, it fits easily in just about any pocket I’ve tried, making it the best wallet I have ever owned, hands down. If you need a new wallet or are looking to give one this holiday season, we highly recommend checking out these wallets, no matter which design you prefer. We are certain you won’t regret it! Based on our own experience, we are delighted to give both of KORE Essentials Slim Wallets an A+ rating! Want to purchase one of these wallets for yourself? You can buy the KORE Essentials Bi-Fold Slim Wallet and KORE Essentials Slim Wallet + Carbon Fiber Money Clip ($59.95) on the KORE Essentials website. We are certain that once you try these wallets, you will see why we are crazy about them! Want to learn more? 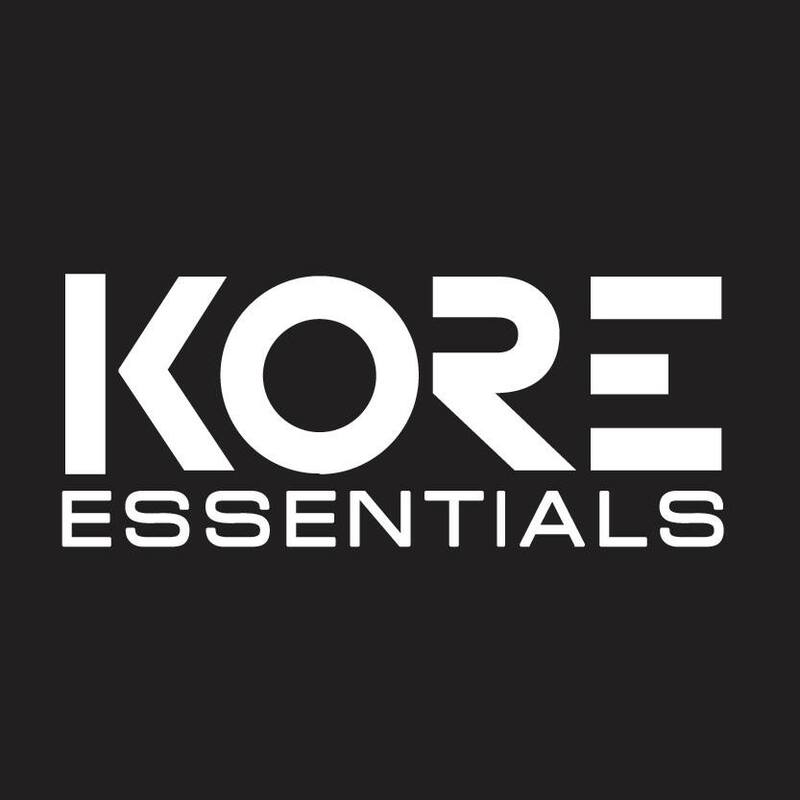 Check out KORE Essentials on Social Media! Now a days you really do need to protect yourself as much as you can, and these wallets are great for doing that. I really like the slim look. I also like that it blocks the RFID. Thank you for the review. These are awesome Slim Wallets. I watched the video and I know my Husband would just love to have one of them. They are a great idea for Christmas Gifts. Thank You for the awesome review! I love the slim look. I have so many cards its time to get rid of them and have a smaller look and feel thank you! My son is always looking for a wallet that isn’t bulky but fits his needs. The RFID blocking feature is something he may not consider but I think is great. This one looks like it would be a perfect stocking stuffer. This wallet looks really nice, and I especially like that it’s designed to protect credit card chips. I’ll definitely want to check into buying one of these; thanks for posting! 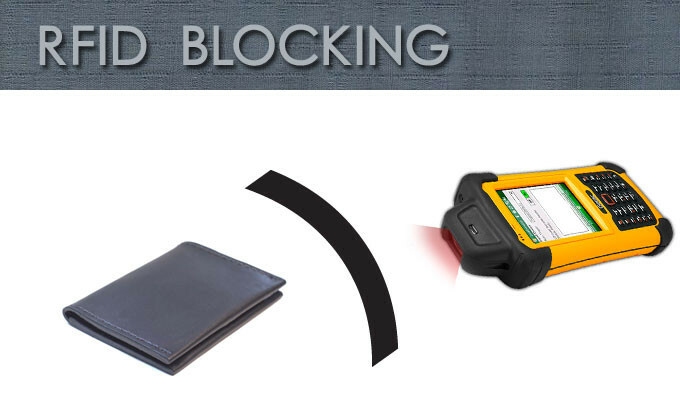 I’m all for RFID blocking in wallets. This would make a great Christmas gift! I really like this one, but hubby came and looked at it and said no way. But I like it. I appreciate the RFID blocking. I’ve had my credit card scanned before! 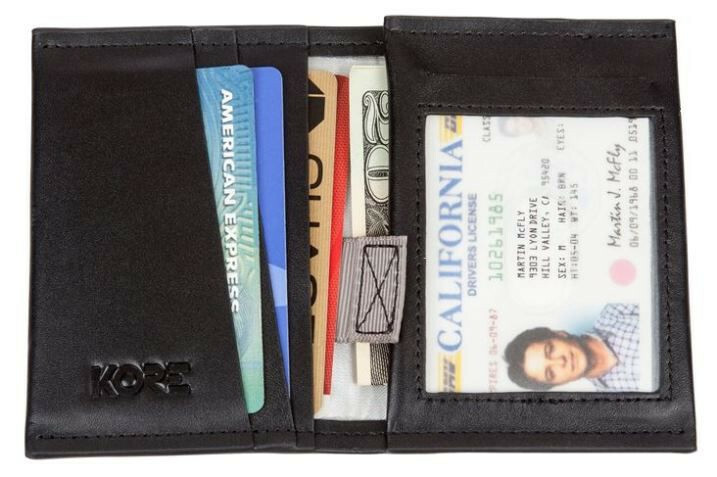 What I like most about this KORE wallet is it provides protection from identity theft. It also has a slim design and very functional. I absolutely would love to win this wonderful KORE wallet. Card skimming is a real worry. I’ve heard that it can be done from a considerable distance. I think RFID blocking is becoming necessary. I like that it’s made of Full-grain leather and military-grade carbon fiber to last a long time, a long with the RFID this is a great wallet. I love this wallet!! I love that its slim and small and has RFID!! So important nowadays!! I love the slim look of this wallet. I also love that it helps prevent credit card theft. Thanks! I have been looking for a new wallet for my fiance’ and this one is perfect. I really like it is lined with blocking material. I really like this wallet. Not only the size, but the fact that it you’re credit cards are protected from being scanned. I love the look of this wallet! This would make a great gift for my grandma. Thanks for sharing. I like the slimness and the protection. This was a informative review about an awesome slim wallet. Its so nice to hear a review that will make tings better for most people. The Kore Essentals Slim Wallet would be so wonderful for my Husband of 51 yrs. I have to watch him struggle almost every time he has to pull his wallet out of his back pocket. This is so slim and the money clip keeps everything so secure. The RFID Blocking is a added Plus. Thank You for this Review. I love how sleek & sophisticated it looks.. I really like that it blocks the RFID. It is also a nice looking wallet! I love the slim look. This is a thin and high quality. wallet. I appreciate the great review on this gift-giver. My brother and dad could both use one of these, we have been looking for wallets that block the RFID. Thank you for sharing. I am into wearing clothes with pockets so I don’t need to carry a purse (and be a crime target here in LA). Even my running skirts have pockets and I am looking into these wallets for every day use instead of the Mom purse!